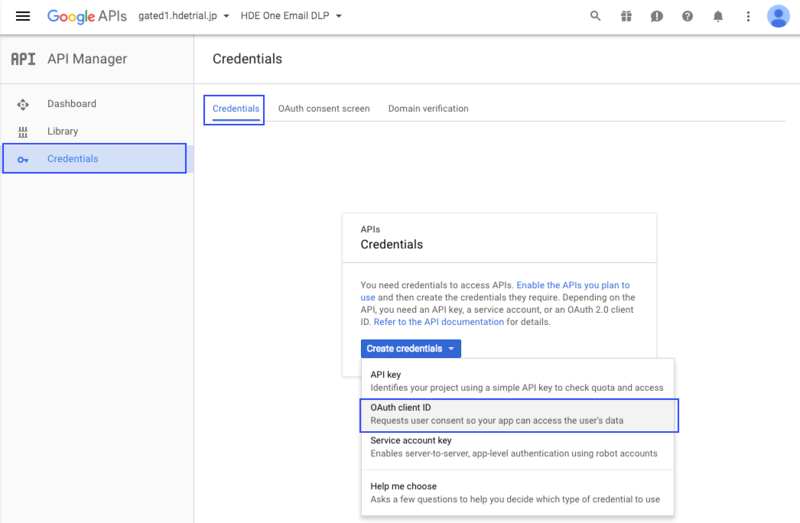 This article consists of the instructions on how to correctly setup HENNGE Email DLP so that it is fully functional within your G Suite domain environment. 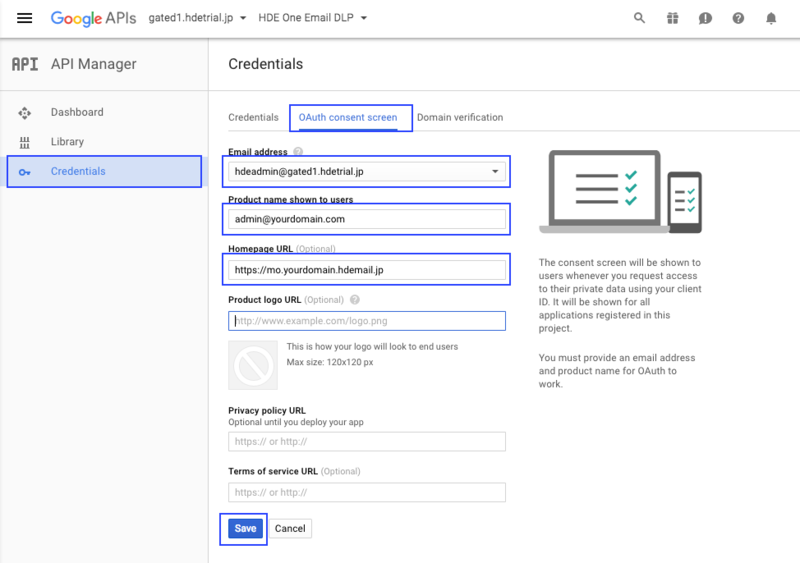 After completing this setup, you will be able to start using the features of HENNGE Email DLP such as mail suspension, email filtering, mail approval and more. 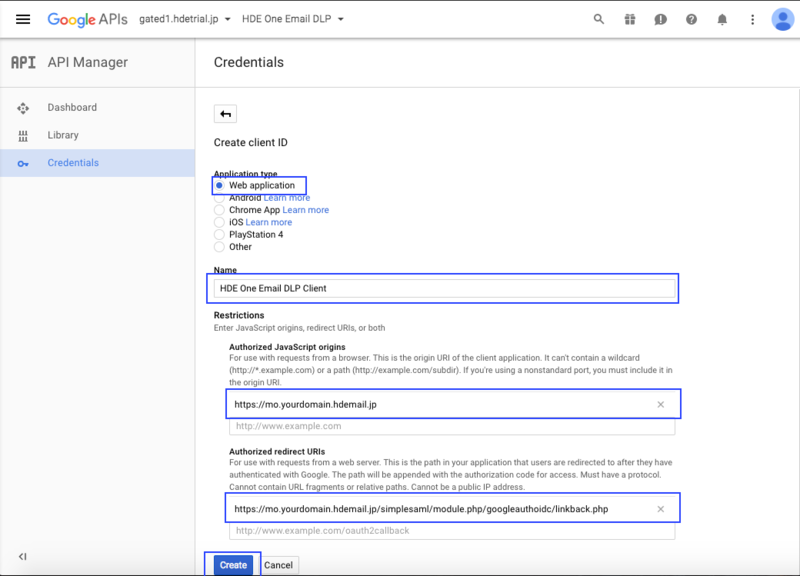 Register a new SPF record for all the your domains to your DNS server. 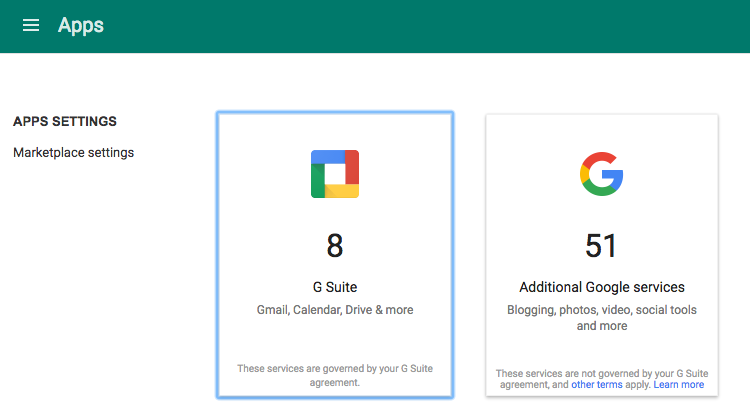 As we are unable to access to the DNS settings of your network environment, you might want to cooperate with the network administrator of your office environment to complete this process. 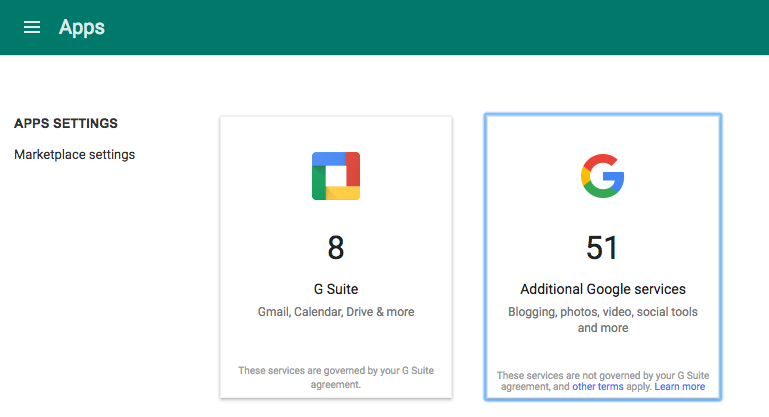 Step 6 - In the "Advanced settings" interface, in the "General Settings" tab, scroll to the "Spam" settings and at "Inbound gateway", click "CONFIGURE". Step 7 - Please name this new Inbound gateway "HENNGE One Inbound gateway". 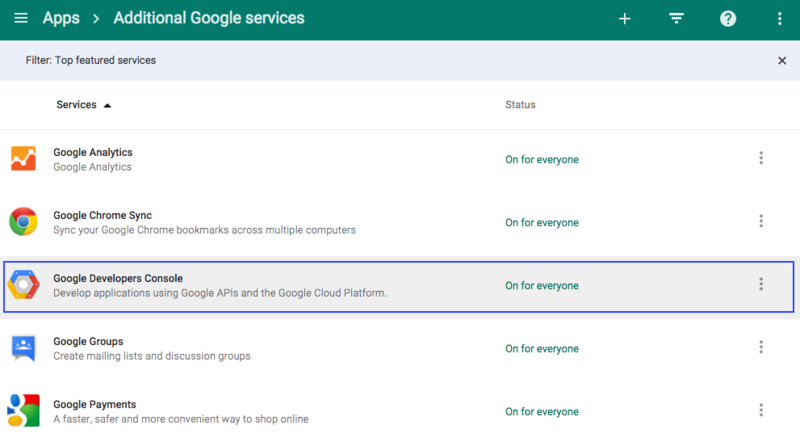 Then for the "Gateway IPs", click "ADD". 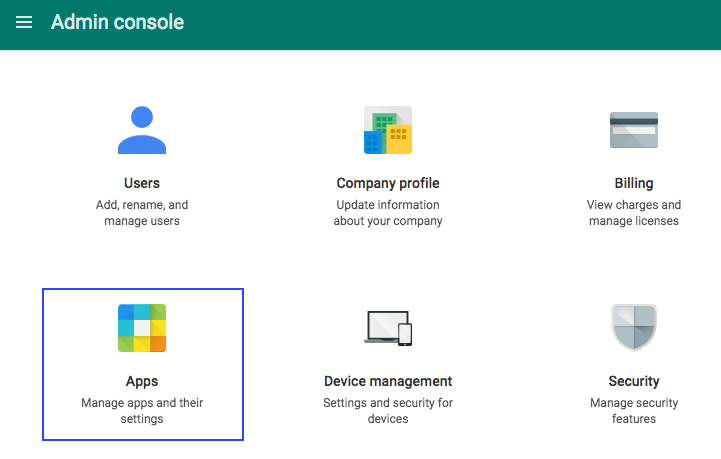 There is a list of IP addresses that you can find in your Connection Settings document that we have provided. 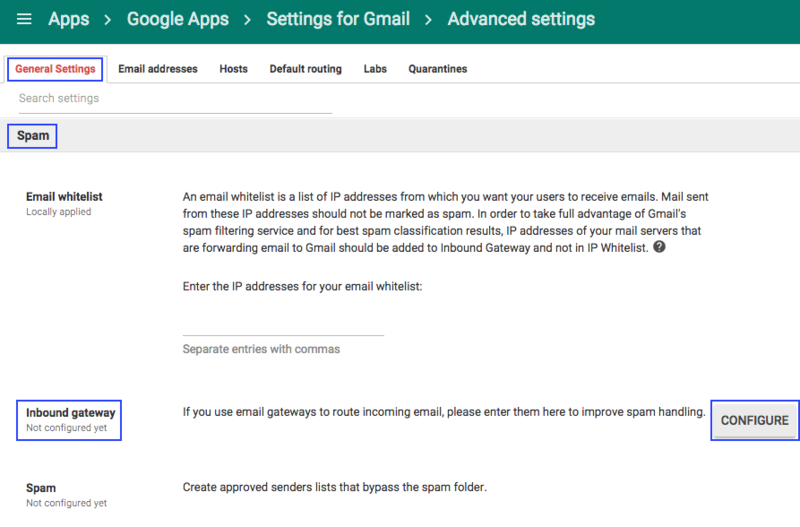 Please add each and every single one of the IP addresses in the list into the Gateway IPs. 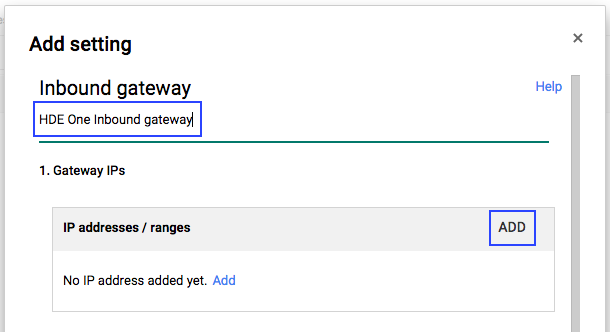 Step 8 - Please click "ADD SETTING" after all of the IP addresses are inputted into the Gateway IPs. 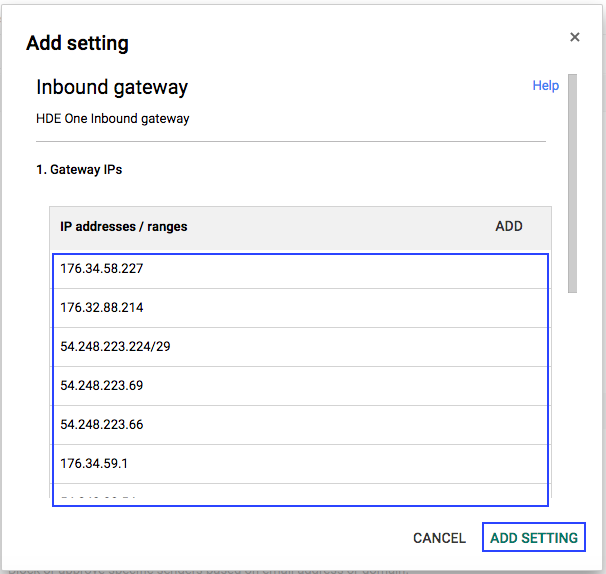 Step 9 - After added the "HENNGE One Inbound gateway", review the settings once more and click the "Save" button at the bottom right of the interface after ensuring the Inbound gateway is properly set up. 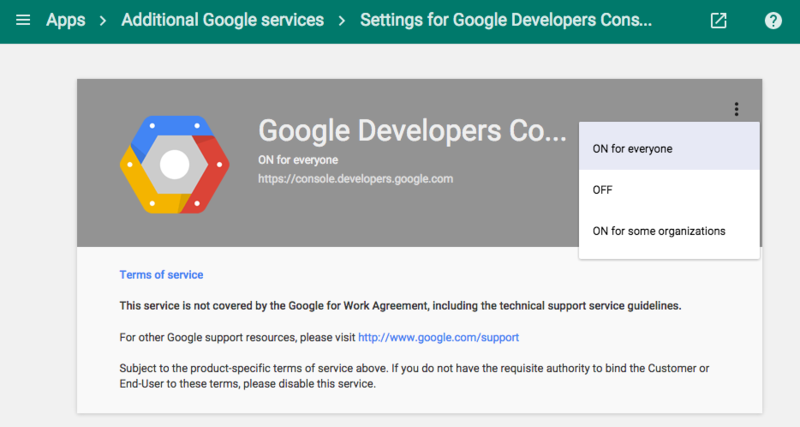 Step 1 - In the "Advanced settings" interface, switch from "General Settings" to "Hosts" tab. 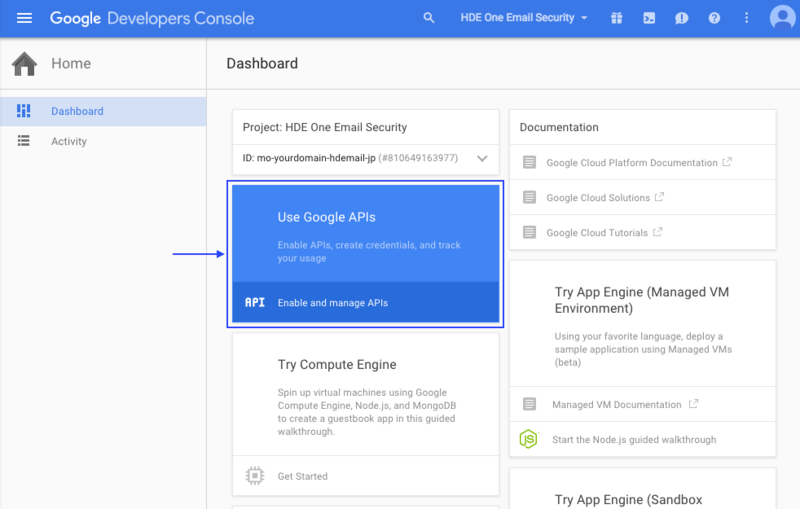 In the "Hosts" interface, click on "ADD ROUTE". 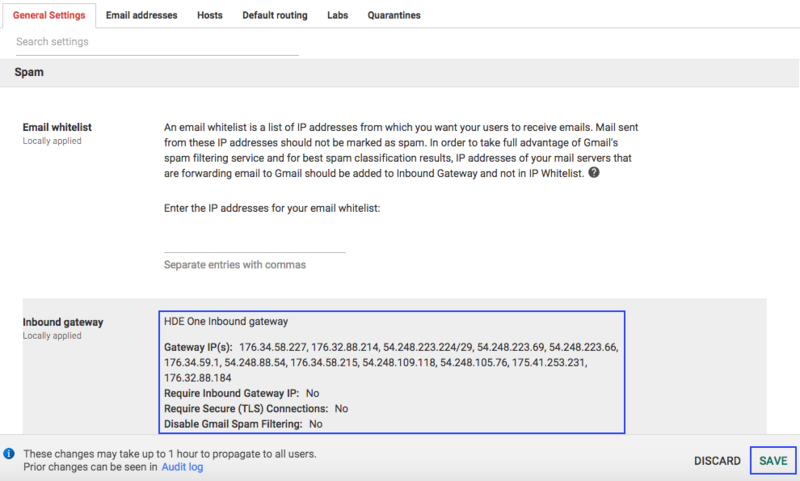 Step 2 - Please name this mail route as "HENNGE One Email DLP". 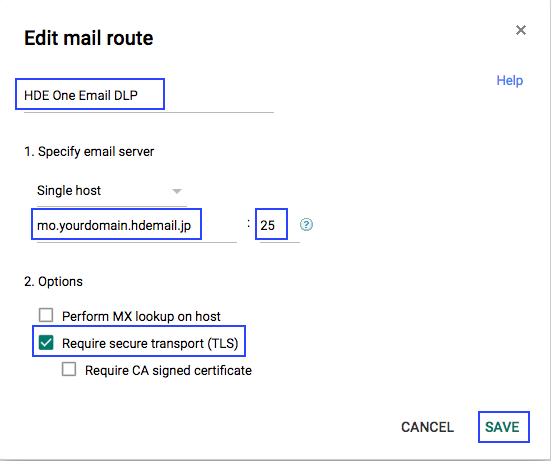 For the email server, select "Single Host" as the server type and enter "mo.yourdomain.hdemail.jp" and input "25" for the allowed port. Check only the option "Require secure transport (TLS)". 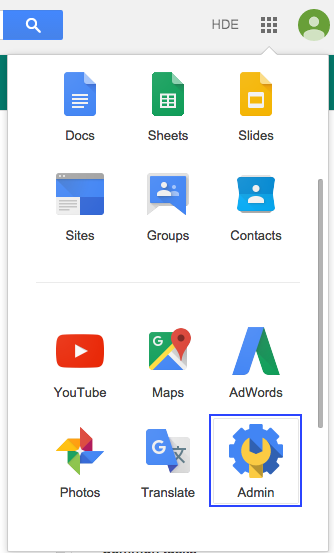 Click "Save" to finish this step. Step 1 - In the "Advanced settings", switch to "General Settings" tab. 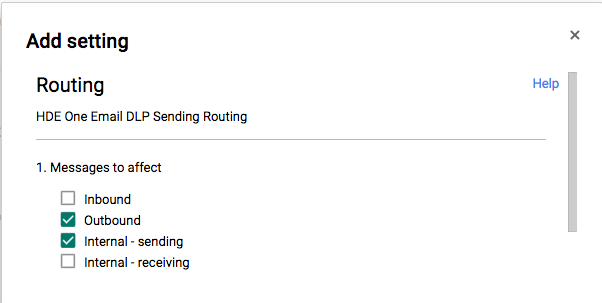 Scroll down to "Routing" section and click "CONFIGURE" for "Sending routing". 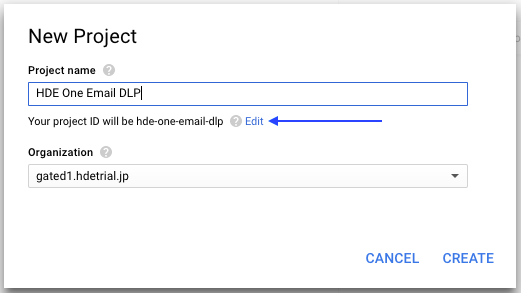 Step 2 - Please name this new sending routing as "HENNGE One Email DLP Sending Routing" and check both the "Outbound" and "Internal - sending". 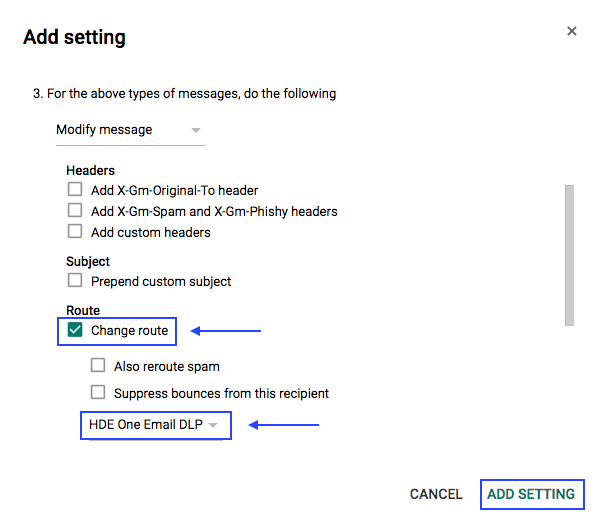 Step 3 - Then, for "Route", check the "Change route" option and select "HENNGE One Email DLP" as the route. Click "ADD SETTING" to finish this step. 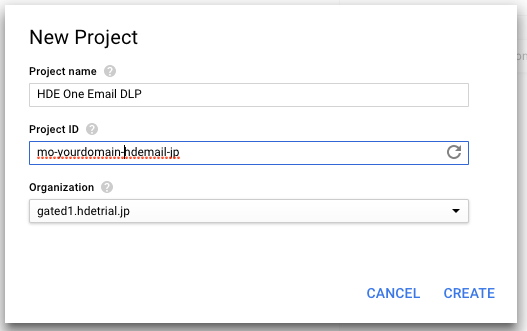 This part is only required to be performed by the Email DLP Administrator.